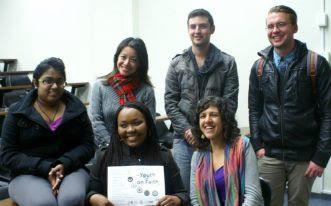 On the 3rd October, 2012, GOAL and F2F presented the first Annual event ‘Youth on Faith’ event at UCT. An opportunity for the youth of Cape Town from various backgrounds to take the platform and make their voices heard, to network and to learn more about each other. Including learning about different views on faith and the role faith plays in our lives. The turnout was great as the audience of about 50 people, young and old, contributed tremendously to making the event a huge success! Before the commencement of the programme, we started with an ice breaker ‘the party game’. 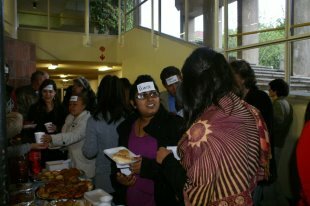 Each person was given a sticker (on their forehead) with an identity that has a religious affiliation e.g. Priest, Ghandi, Jew, Nun, Imam, Buddhist etc. They had to interact with each other based on their new identity, and then try to guess their own identity. 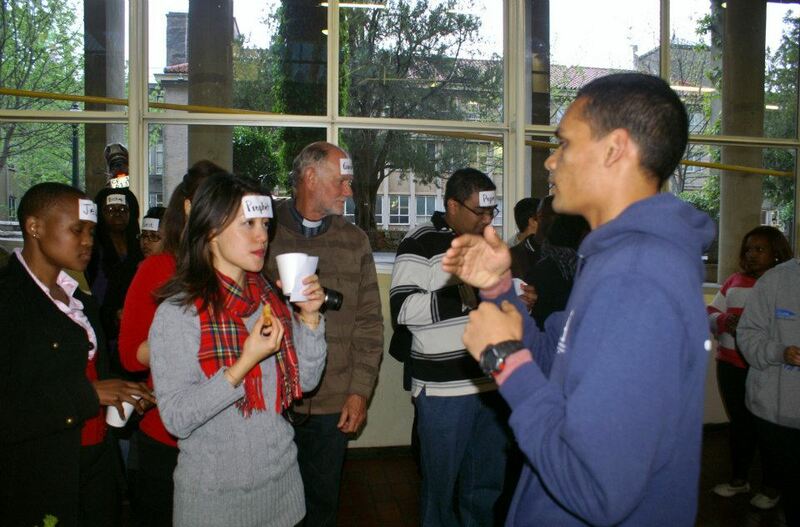 The activity was aimed to stimulate discussion which brings up issues of religious stereotypes and prejudices. The crowd started mingling whilst enjoying a variety of delicious savouries and desserts. This introductory game set the theme for the evening: that is ‘Youth on Faith’. Everyone, in the audience, was assigned a colour and those with the same colour had to sit together. This was done so that the audience could meet new people and interact with each other. 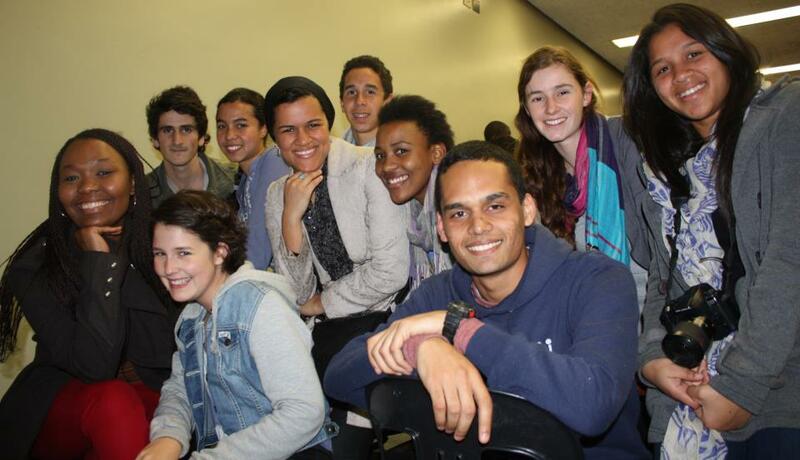 [‘F2F is an international, interfaith, youth leadership programme. One of its aims being to develop a new generation of leaders that is able to negotiate a multi-faith global society. The GOAL Trust forms the umbrella for F2F SA and also runs a number of local programmes which seeks to increase responsible citizenship and unlock the leadership potential in young South Africans. Warda then went on to introduce the guest speaker for the evening: Ladan Eshragi. [‘Ladan is of the Baha’I faith and serves on the Spiritual Assembly of Cape Town, which is the governing body of the Baha’I faith in this city. Ladan is an organisational psychologist, who consults to organisations from a variety of industries. She is an independent industrial psychologist with the Health Professions Council of SA. Ladan has sound experience in working with cultural aspects of organisations, with facilitation work and change management. She enjoys working with diverse groups of people. She went on to encourage the youth by saying “the youth are the spearheads of community change” Describing this statement, Ladan said that the spearhead has a sharp-point which makes way for others to follow. That the youth are flexible, vibrant, have energy and brave enough to challenge old and new views. 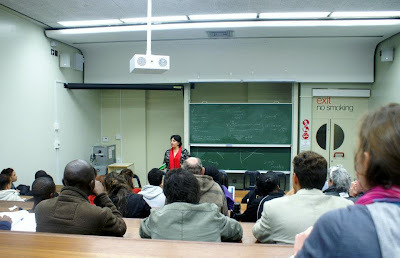 Sarah Oliver, a member of the F2F Alumni Committee of South Africa (F2F ACSA), then introduced the panel discussion and speakers to the stage. This was facilitated by Linda Matsolo, another member of F2F ACSA. Sarah shared the need for this kind of panel and that it is usually the norm to invite more experienced people to be guests on a panel, but this time we need to hear the voices and views of the youth. 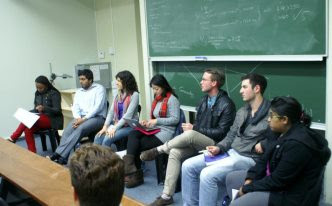 The panel guest speakers were representatives of the different faith groups at UCT. They included Vafa Hakimi from the Baha’I society, Eriel Huang from the society of Buddhism in Action, David Webster from Hillsong, Jawad Haider the Muslim representative, Josh Benjamin from SAUJS (South African Union of Jewish Students) and Salona Pillay from the Hindu student society. Linda began by introducing the topic ‘How does religion affect your student life’ and then asked each of the panellists to give a brief introduction of them. An open discussion then followed, prompted by questions from the facilitator which included the most important things about being a student, what it means, where religion fits in. The panel spoke about the balance of student life and the practice of religion. They then went on to discuss religious intolerance on campus. That is if they have witnessed religious intolerance or prejudices either against their own faith group, or other faith traditions. If so, how does their faith tradition approach this? 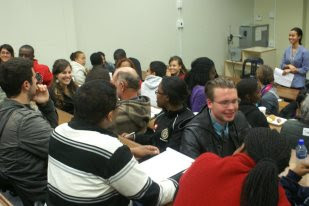 This was an opportunity to get to know a bit about each other in a short period of time. For some, 30 seconds was enough to say what they needed and for others, this was frustrating as they needed more time. As the statements went on, we soon got the hang of it. Another aim of F2F is to promote religious dialogue and understanding amongst young people, and through this event, this is what has been accomplished. The evening was closed by Emily Chetwin from F2F ACSA who thanked all for their support and contribution to the programme. To GOAL and the F2F alumni committee for organising such a great event and to the speakers and wonderful audience who made it what it was.